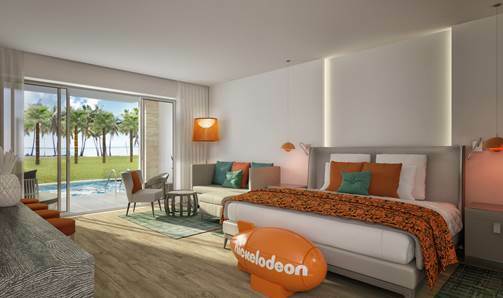 We’ve been invited to experience Nickelodeon Hotels & Resorts Punta Cana. As always, all opinions are our own. This month we’re looking forward to a few days of sun and slime at the new Nickelodeon Hotels & Resorts Punta Cana, Dominican Republic. 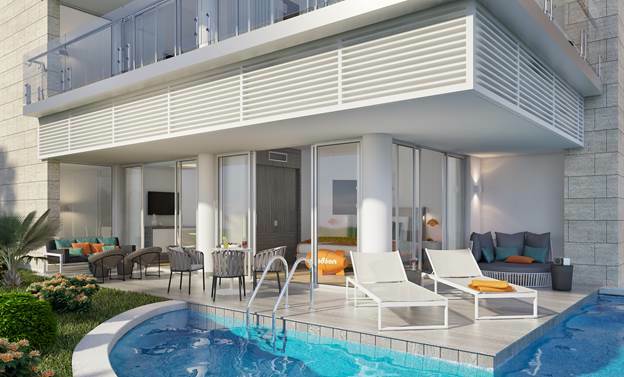 This first Nickelodeon international property is going to be full of luxury family fun. It’s not everyday you get to combine the immersive fun of Nickelodeon with a luxury, five-star hotel experience located on Uvero Alto Beach. The Aqua Nick™ Playground features water activities such as a lazy river, splash pads, spray grounds, and water slides. You’ll find us here for the majority of our vacation. Character Central is where guests can meet and greet their favorite Nickelodeon characters throughout the day. My daughter is hoping SpongeBob Square Pants makes an appearance at some point during our stay. One of the things we love about resorts is kids’ camps. Just Kiddin’ is a kids-only part clubhouse, part artist’s studio. Whether your small guests are the type who prefer free play or are looking for activities with more structure, they’ll find a wide variety of Nickelodeon fun, including supervised activities and programs for children 4 to 12 years old as well as do-it-yourself activities. What a perfect place for kids to play while moms and dads enjoy a break and an opportunity to partake in the opulence of a luxurious five-star resort. The kNick knack shop is where you’ll go for all of your Nickelodeon memorabilia as well as for any vacation essentials you may need. The Sports & Entertainment Center is where guests of all ages can get their move on or have a good laugh. With more than 200 oversized suites in seven styles there’s something to appeal to everyone at Nickelodeon Hotels & Resorts Punta Cana from swim-up suites to intimate Jacuzzi pads. They also offer exclusive two- and three-bedroom super villas (up to 2,200 square feet!) for ultimate vacation accommodations, including the SpongeBob Square Pants-inspired Pineapple Villa in Bikini Bottom. Suites afford added luxuries such as Jacuzzis, private patios, wrap-around terraces or balconies, and 24-hour in-room dining. For families traveling with little kids, Nickelodeon Hotels & Resorts Punta Cana have amenities such as complimentary baby food, baby bottle warmers, cribs, strollers, and kids’ spa robes—talk about the ultimate luxury travel in not having to cart any of that on your overseas vacation! 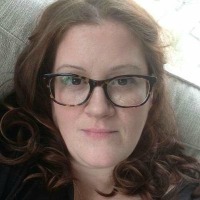 We’re such foodies, we’re really looking forward to the 10 inclusive gourmet dining options Nickelodeon Hotels & Resorts Punta Cana offers their guests. My daughter can’t wait to try the Nickelodeon Slime Smoothie, while the java junkie in me is really looking forward to the Doppio Coffee Shop for my daily caffeine fix. We’re looking forward to checking out the Vassa Spa for a mom-daughter spa date. Vassa Spa offers so many relaxing and rejuvenating treatments such as arctic and warm water pools, bubble beds, chromo therapy showers, dry sauna, herbal steam room, and a whirlpool. Now to decide between the standard treatment suite or an al fresco outdoor treatment room. I love that Vassa Spa offers a signature “perfectly pink” treatment package for their young visitors. Exotic Travel Destination: Ever Considered Traveling To Bandung, Indonesia?